Drake Mabry, born January 20, 1950 in Iowa City, composer, neyzen and ebru artist, comes from a family of painters. He began his artistic career as an oboist in symphony orchestras, before moving to tenor saxophone, flute and clarinet playing in big bands and jazz ensembles. Since the 1980’s, painting, photography and poetry came into his artistic focus. He learned Ebru with Ayla Makas in Istanbul and Chinese ink painting with Chang Yang in San Diego. His poems have been set to music by composers and used by theater groups for improvisation. Drakedonius , a book with bilingual poems, paintings and photographs, was published by Le Plac'Art in France in 2011. He has two volumes of poetry published as Kindle ebooks. Mabry studied oboe at the Juilliard School of Music and the Manhattan School of Music with Harold Gomberg. He continued his education in 1976 with the study of composition at Rice University with Paul Cooper and later at the University of California, San Diego with Will Ogdon from which he graduated with his doctorate. He also studied composition with Krzysztof Penderecki and John Cage. His compositions have been performed worldwide and recorded and released in the U.S. and in Europe. From 1971 he worked as principal oboist in various orchestras in the United States, Canada and Great Britain. From 1975 to 1978 he played the saxophone , flute and clarinet in the Aspen Music Festival Big Band and led his own jazz quintet. Since 1978 he focused his activity on composition and improvisation. In 1988, he moved to France, where he was head of a music school in Poitiers from 1999 to 2006. In addition, he taught, among others at the University of Strasbourg, Rennes University and the University of Poitiers. He studied the Turkish Ney flute in Istanbul with Burcu Karadag at the Caferaga Medresesi and later with Ismail Hakki . Mabry is one of the few Ney players who also plays contemporary music and jazz. In these styles, he has composed several works for the instrument. The ensemble TWO with Maria Dorner-Hofmann was founded in 2012 after a chance encounter at the Salzburg Mozarteum. 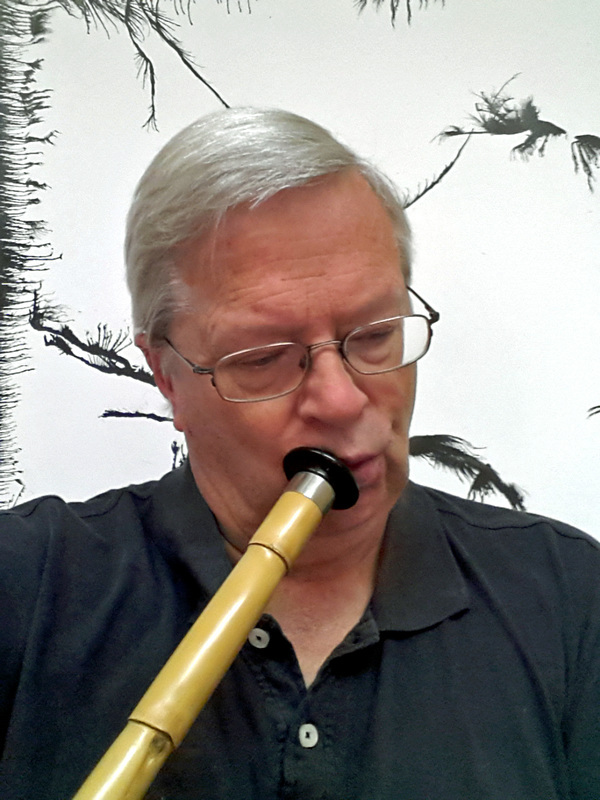 Both artists found the idea of combining the European recorder with the Turkish Ney very appealing. They investigated and experimented how these two instruments could be brought together to play music from different musical cultures. It was decided to focus on medieval music, contemporary music, works written especially for them, and Bulgarian and Turkish music. "dans la musique contemporaine version Drake Mabry, l'inspiration est partout"
"Interprète, Compositeur, Facteur, Bricoleur- un virtuose"